With it being the end of May, all of us at FS Construction Services know that grain harvest is quickly approaching and it will seem like no time at all before summer is over and corn harvest season is upon us. This means that now is the perfect time to schedule a pre-season maintenance check on your GSI, Sukup, Grain Handler, Brock and Shivvers grain dryer systems. 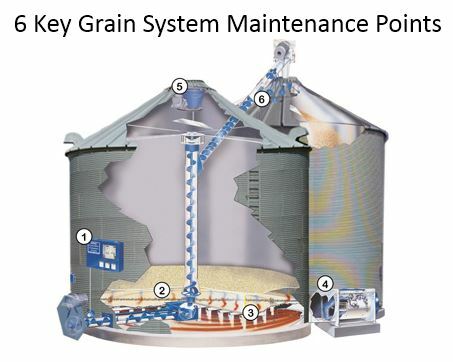 A pre-season maintenance inspection is often able to catch basic wear and tear on your grain dryer and grain dryer equipment that otherwise might not rear its ugly head until right in the middle of harvest. By making sure all your equipment is in proper working order now, you can prevent time and money-draining problems down the road and increase the quality and longevity of your dryer. Your expert trained FS Construction Services technician will also help you determine a plan to cover regular maintenance and care so you can prevent future problems, breakdowns, and maximize efficiency. There are, of course, many small maintenance tasks that can be done around your equipment to keep it clean and running well. Putting the time and money into an inspection now can pay out dividends in the future. And you will be ready to start harvesting without missing a beat. If you would like to schedule an inspection, or if you would like to browse our selection of stir dryers, counter mix-flow dryers, or counter-flow dryers, let Gateway FS Construction Services know. Give us a call at 866-551-3454, and let our specialists help you find exactly what you are looking for. We look forward to providing you the best customer service experience. Did you know that May is National Electrical Safety Month? At FS Construction Services, we have to treat every day as if it were Electrical Safety Day, because most of our pole barn, steel building, and grain systems projects require significant electrical knowledge and strict safety measures. What we’re saying is, our experienced staff think about electrical safety all the time. However, we understand that this isn’t the case for everyone, and so in honor of this month, we thought it would be worthwhile to share some electrical safety tips. The following list is taken from the Electrical Safety Foundation International’s website, and while it is specifically targeted towards agricultural safety, many of these tips are easily applied to construction as well. Locate all overhead power lines. Keep self and equipment 10 feet away from all overhead power lines. Beware of fencing near power lines. Lower equipment apparatus before driving. Never spray near power lines with irrigation systems. Stay at least 35 feet away from fallen power lines. While these may seem self-evident, the ESFI does note that, “Contact with overhead power lines is the leading cause of electrical fatalities for agricultural workers.” So stay smart and stay safe out there. These next safety tips come from our friends at Shivvers Manufacturing. Though we’re nearing the end of spring, there still may be those looking to build new grain bins in preparation for harvest. When looking to add a new grain storage, drying or handling and transfer capabilities to your operation, here are some important clearance requirements to keep in mind. Vertical clearance over the bin is the highest point of the bin plus 18 feet. Horizontal clearance on the bin’s loading side is actually the same as the vertical clearance, the highest point of the bin plus 18 feet. One note on vertical clearance, it must be maintained away from the bin for the whole length of the horizontal clearance, and then maintained outward at one foot down for every 1.5 feet further out. So basically, imagine a giant trapezoid around your grain bin. Additionally, it’s recommended that a grain bin with a 15’ diameter be placed at least 55 feet away from the nearest power line. This goes up to 80 feet minimum for a 25’ diameter bin and 143 feet minimum for a 50’ diameter bin. There are, of course, many more suggestions, requirements, and recommendations for electrical safety, and to view more of them you can go to ESFI’s website. At Gateway FS Construction Services, we take electrical safety seriously, and we know that a good job is also a safely done job. If you have any questions about buildings or equipment, give our expert team a call at 866-551-3454, and let our specialists help you find exactly what you are looking for. We look forward to providing you the best customer service experience. A seed is a remarkable thing. Though small and numerous, any farmer can tell you how much potential and importance each individual seed holds. This is why so much effort and ingenuity has been poured into seed treatment technology over the years. Increasingly, seed treaters are being designed to provide the most even coatings and dressings while minimizing waste and loss. In order to provide the best seed treatment equipment, FS Construction Services has partnered with USC Seed Treating Solutions. 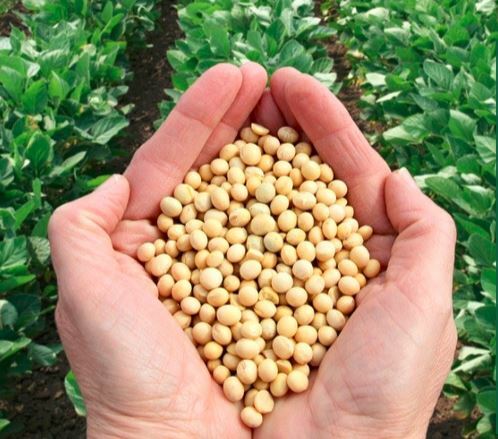 Our large product range and dedication to cutting-edge technologies, has made FS Construction Services an ideal partner, and allows us to provide you with the top-of-the-line seed systems and seed treating products. From large bulk systems that require on-site installation specialization to tabletop lab seed treaters and every possible size and configuration in between, FS Construction Services is sure to have the right equipment for you. Whether you know exactly what you want or have some questions, we are always happy to help. Our seed treatment specialist, Justen Kempfer, knows not everyone is in the market for something brand new. Sometimes, all you need is a new part and a little know how. Let our qualified team inspect pre-existing equipment to determine what needs replacing, fixing, or tuning, and we will estimate the cost of supplies and service. Additionally, we will also upgrade parts of older seed treating equipment with newer, more advanced options that provide great speed and efficiency. One of the realities of advancing technology and multi-part equipment is the occasional need for service and repairs. FS Construction Services is ready to help you troubleshoot your equipment or even your equipment’s software, to make sure you are getting the most out of your seed treater. With the right equipment, you can trust that your seeds are receiving the proper treatment time and time again. If you are interested in increasing the production and efficiency of your seed operation, let Gateway FS Construction Services know. You can give us a call at 866-551-3454, and let our specialists help you find exactly what you are looking for. We look forward to providing you the best customer service experience.